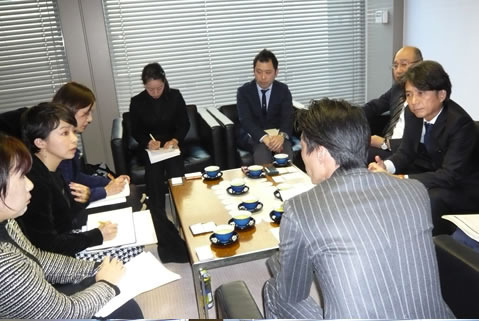 As of December 26, 2014, we visited the head office of Pola Inc. in Gotanda, Tokyo. On their website as well, it is announced as their policy that regarding the safety securing in cosmetics (including quasi-drugs), they won’t conduct animal testing nor outsource it according to the establishment of its alternative method. In addition, they said that they would announce as their policy that they will no longer conduct animal testing in their cosmetics and quasi-drugs to companies supplying raw materials. We hope that the company facing their consumers directly will announce the policy to raw material companies―to which customer opinions are not so easy to reach―and that will lead to the abolishment of animal testing in the whole cosmetic industry. We are glad that we can share the news before we ring in the new year that Pola Orbis Group abolishes animal testing, which follows the determination by Kose in September this year to stop animal testing. 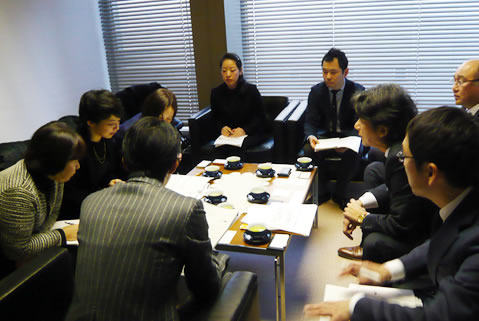 In 2013 Shiseido and Mandom determined to abolish animal testing, and so did Kose in 2014, and Pola Orbis Group has joined in the members. It is becoming a standard in Japan that animals should not be sacrificed for cosmetics, through which we pursue beauty. There are no excuses left for companies which still continue to conduct animal testing. We hope that the whole cosmetic industry in Japan will stop animal testing as soon as possible. Please send your gratitude and encouraging message to Pola Orbis Group, which has made a bold decision.